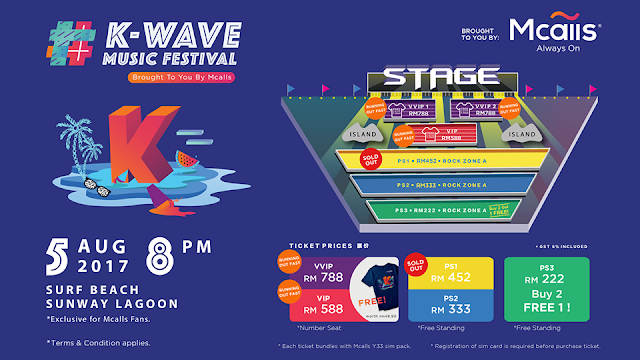 August 5th 2017 , Sunway Lagoon - Presented by operator company Mcalls , the music festival take place at Surf Beach , Sunway Lagoon . K-Wave Music Festival is set to provide a unique experience for Korean pop fans to witness all new music festival of their favourite K-pop bands all within one exciting event . The festival features an exciting lineup comprising of six well known Kpop acts namely Highlight , BTOB , APINK , B1A4 , Teen Top and Victon . BTOB, APINK and Highlight have previously performed in Malaysia and the other three are first concert in Malaysia . This is an exclusive event that comprises all 6 bands in a single festival in South East Asia region for the year 2017 . B1A4 - Jinyoung, CNU, Baro, Gongchan, and Sandeul . Teen Top – C.A.P, Chunji, Niel, Ricky, and Changjo . APINK - Park Cho Rong, Yoon Bomi, Jung Eun Ji, Son Na Eun, Kim Nam Joo, and Oh Ha Young . Highlight - Yoon Doo Joon, Yong Jun Hyung, Yang Yo Seob, Lee Gi Kwang, and Son Dong Woon . Miss out The First Wave ?? 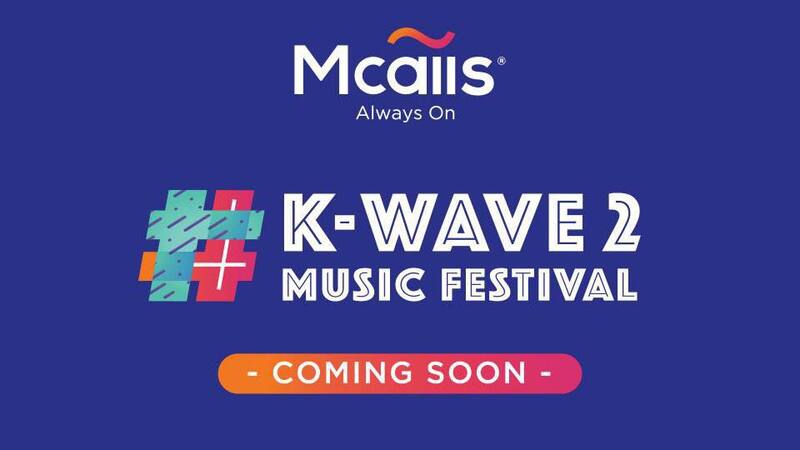 No Worries No more , After Galaxy Group and MSR making this K-WAVE MUSIC FESTIVAL 2017 a huge success , They are working out for Second Wave .